Preparing for a GNO, dressing up for the next charity gala or just have a hot date? European fashion jewelry designer, Chashkina Designs, is lauching her Fine Fashion jewelry brand into the hot emerging Singapore marketplace with their new Cocktail Collection. Each of Chashkina Designs jewelry pieces from the new collection are delicately hand crafted from natural stones, pearls, Swarovski crystals and pull inspiration from your favorite cocktails. the hashtag #ChaskinaGirl and what makes you unique; whether you’re #effortless, #oneofakind, #confident or #inlove — you tell us. Chashkina Designs is currently only available in Singapore, Hong Kong, Italy and France, but I look forward to their US launch. Why so limited? They will only deliver them by hand direct to the client! Taylored made pieces with special occasions in mind – weddings, gala dinners, high-end events. 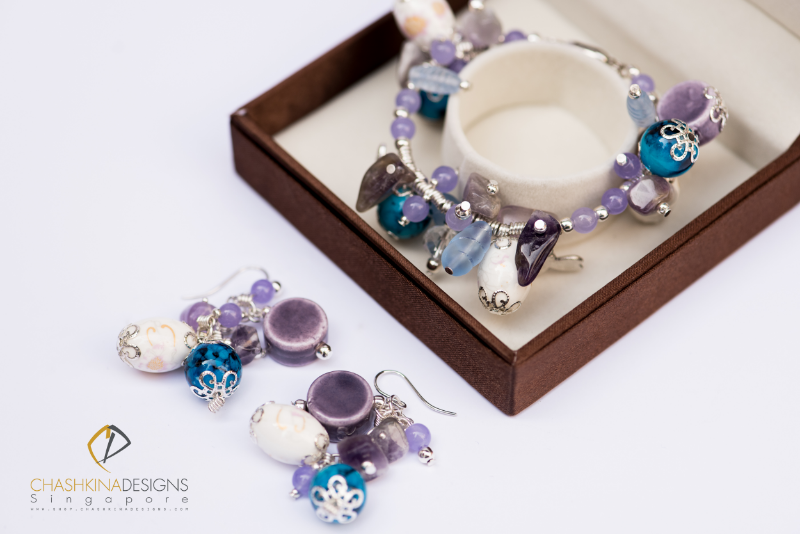 The Cocktail Collection includes 15 different styles and sets of jewelry designs all pulling their inspiration from 15 different popular (and infamous) cocktails. Much like my favorite cocktail, my personal fan favorite pictured below is the White Russian collection with it’s simple and sophisticated lines. “Cocktails alike women, each owns a unique personality through its different concoctions. Some are elegant, classic, edgy, funky or even retro. 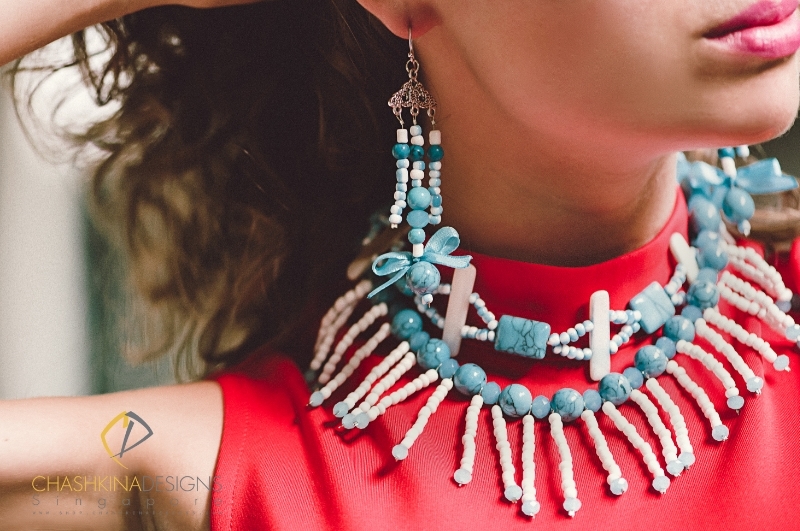 Through this collection, we hope that 15 beautiful women will be able to own a set of jewelry that truly represents them” – Oksana Chashkina, founder of Chashkina Designs. The full cocktail collection is available online at shop.chashkinadesigns.com. Chashkina Designs jewelries are priced in the range of US$750-$1,500. Founded more than a decade ago by Oksana Chashkina, Chashkina Designs believes in creating the most exquisite and exclusive fashion jewelries. Oksana believes that jewelry is the easiest and best way for a woman to express herself and shine in the crowd. 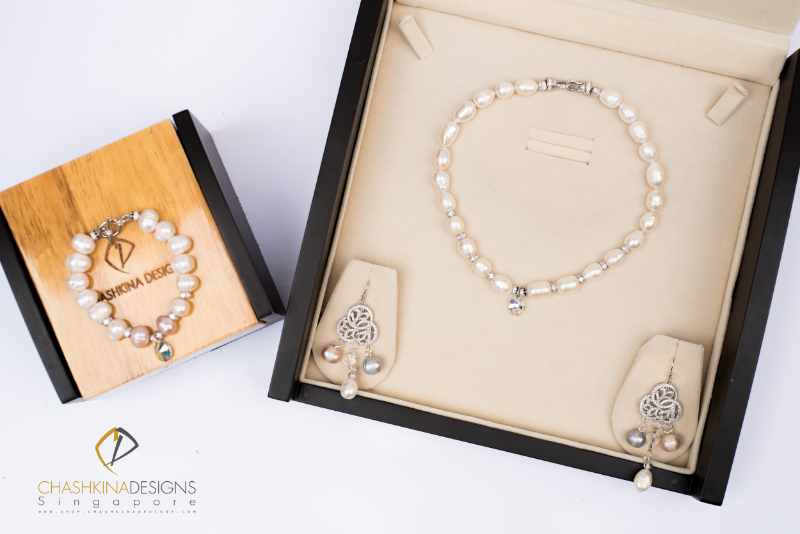 She wants her jewelries to empower women by giving them the feeling of confidence and completeness.